This early 20th century home began life on the corner of 15th & C in the South Side Historic District of Apalachicola. Constructed by renowned builder George Marshall in 1910 and moved to present location by current owners. This private setting is on a dead end street, adjacent to hundreds of undeveloped acres. 4 bedrooms, 2 baths. Updated kitchen with state-of-the-art appliances, including LG Elite smart refrigerator and double French door oven. Hardwood, pine and tile floors, fireplace. New roof, plumbing, wiring in 2003. New AC in 2015. Over an acre of well-kept land. 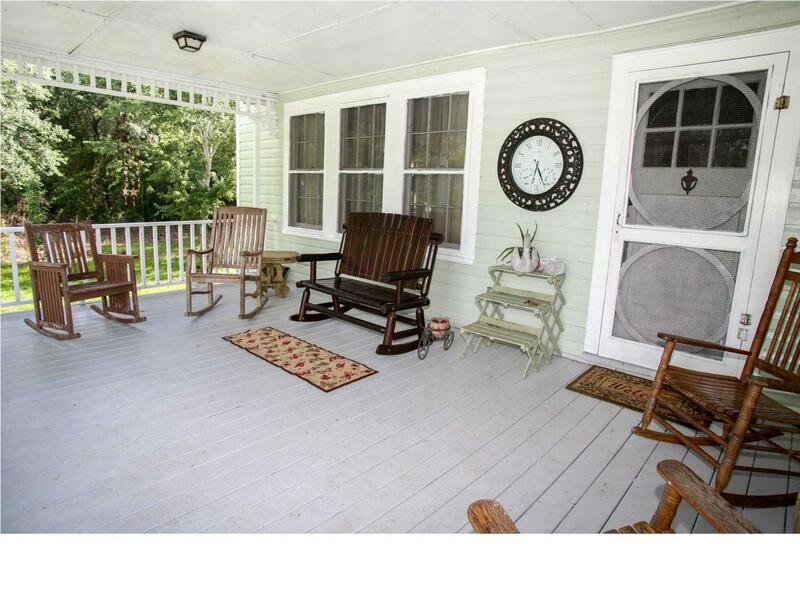 Screened-in side porch and front porch made for rocking chairs. Short distance from downtown shops, restaurants, parks and marinas. Wonderful for weekend getaways to charming Apalachicola, a place to retire to, or a desirable rental property for income. Inclusions All Appliances including Washer & Dryer.